Nimbu pani or lemon water is one of the healthiest and easiest drink to prepare. It is a quintessential drink in the summer. 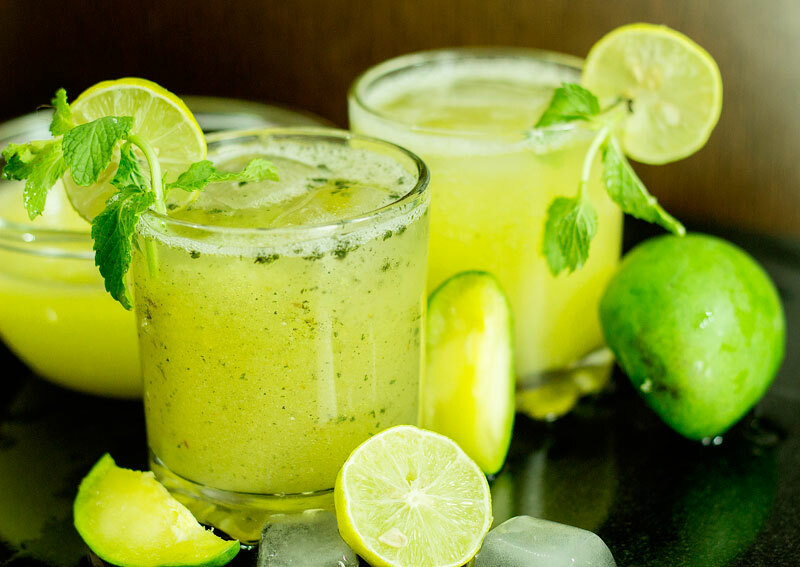 Lemon juice can be consumed on daily basis since it is extremely soothing drink with oodles of health benefits. Lemons possess strong antiviral as well as antibacterial property. It also stimulates immune system. Being a digestive, Lemon water assists in weight loss by cleansing the liver. Lemons contain various nutrients such as ascorbic acid, citric acid, potassium, calcium, magnesium, biolflavonoids, pectin, and limonene. Use purified and warm water for preparing Nimbu Pani. Opt for fresh or organic lemons. Squeeze half of a lemon in a glass and add water as well as black salt. Drink it in the morning on an empty stomach. Nimbu pani curbs severe hunger pangs as it contains sufficient amount of dietary fiber. Concoction of Lemon and water nourishes the skin by keeping it moist and hydrated. The high content of vitamin C in Lemon helps to maintain flawless skin. Lemon water enhances healthy digestion and also helps to relieve the symptoms such as bloating, cramps, burping, and heartburn. Lemon water is an effective and simple remedy to cleanse liver and intestine. Hence, it helps relieve constipation. Nimbu Paani is a good digestive lubricant that helps in softening the stool and regulating bowel movements. The potassium content present in lemon makes it an effective remedy for controlling high blood pressure. Nimbu paani improves the lymphatic system to curb high blood pressure. Lemon water is an excellent drink to relieve hangover. Previous articleHow Many Calories Are There in Kokam Sharbat & Does It Have Any Health Benefits? Next articleHow Many Calories Are There in Aam Panna & Does It Have Any Health Benefits?